After 5 years of high school, Abby is finished school! 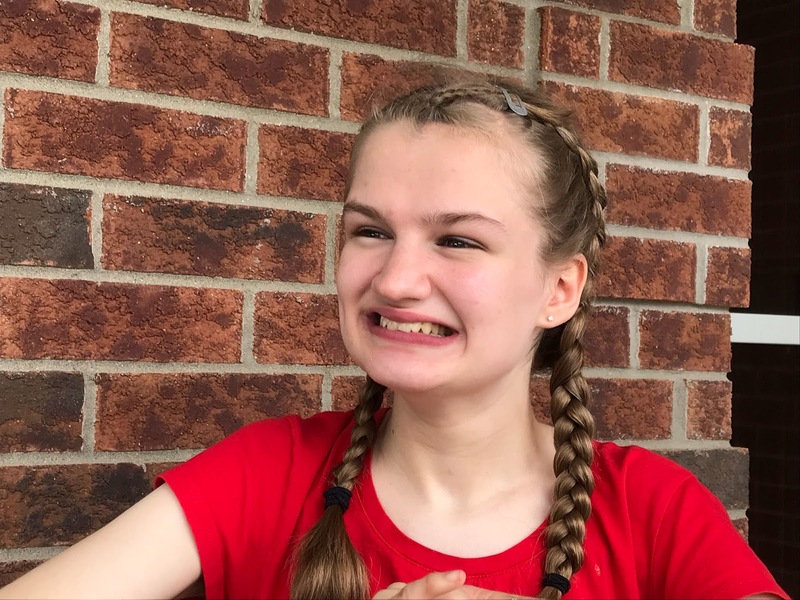 We are relieved to be past much of the long, complex process of obtaining government funding for Abby to lead a meaningful adult life with the personal support she needs to help with her activities of daily living. I've been interested lately in the connection between culture and language. I think one reasons we find it hard to conceptualize Abby's life for people is that we haven't yet become accustomed to the language of self-determination for individuals with complex disabilities. The Ontario Independent Facilitation Network has some really helpful information on the context for self-determination and the concept of person-directed planning: "People with developmental disabilities and their families needed to be able to think and plan beyond the limits and boundaries of congregated services and programs that have historically been developed." We live in a time where most large institutions for individuals with developmental disabilities have been closed and there is more choice about models for living in the community, but there are still thousands of adults waiting for funding and living in sub-optimal conditions. Among the choices, individuals and families can still opt for congregated day programs, if space and funding is available, but we wanted to explore more for Abby and we wanted the choices and decisions to be hers. 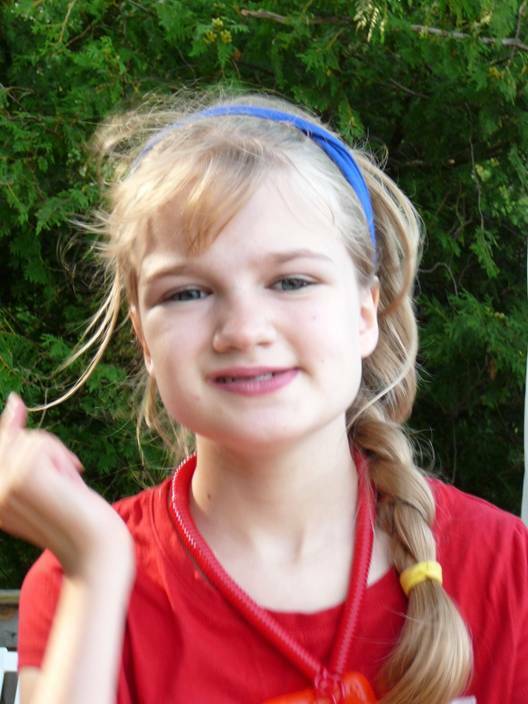 Several months ago, we hired an independent facilitator to help with Abby's dreaming and planning. Part of the process was to help Abby realize she was allowed to dream and ask for the moon and we would do what we could to support her dreams and goals. With the help of a facilitator, we invited people from a variety of aspects of Abby's life to come together in a Circle of Care for some facilitated brainstorming about what Abby loves to do and what we love about Abby and what gifts Abby has to share with the world. 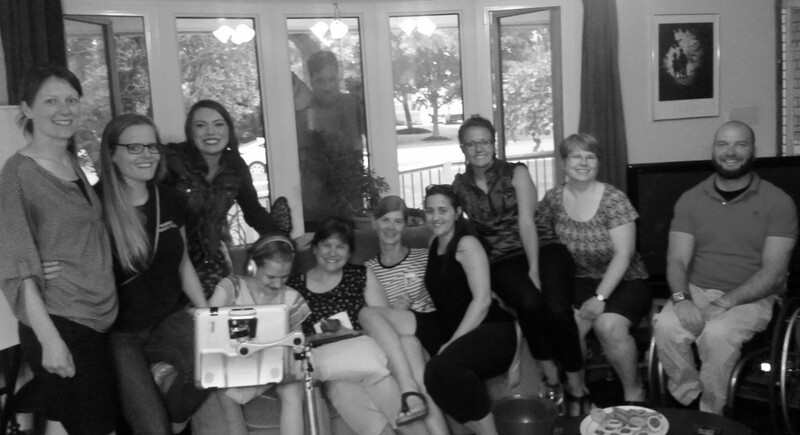 Abby has a lot of wonderful people in her circle! We came up with an incredibly long list of ideas and themes. Abby mostly just listened and giggled and enjoyed eating Skittles with us. Her work came next. We took the ideas and made them into phrases to help organize Abby's thoughts. 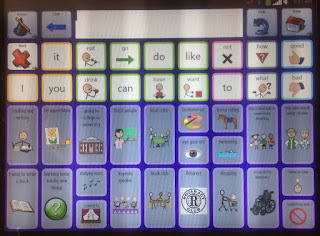 Then I created a "page" on her Tobii (speech-generating device) with the key words and symbols. When she selected a symbol, the phrase would be spoken. So, for example, when she selected "Rotaract Club", she would hear, "The Rotaract Club is a group of young people who get together to exchange ideas and have fun by helping others." Then, Abby spent time exploring the selections and learning more about them and thinking about what she'd love to do. It was important to allow her the time to think about her choices. Eventually, we asked Abby to make some decisions and narrow down her choices, all the while explaining that she was not committing herself to one plan for life. She was just choosing what to explore first. Literacy and Communication - continuing education on the reading, writing and software programs (She has been researching the candidates for the municipal election and reading Harry Potter and "Out of My Mind". A big theme that emerged was teaching. Abby loves teaching. She has many opportunities to raise awareness and teach others what she's learned. 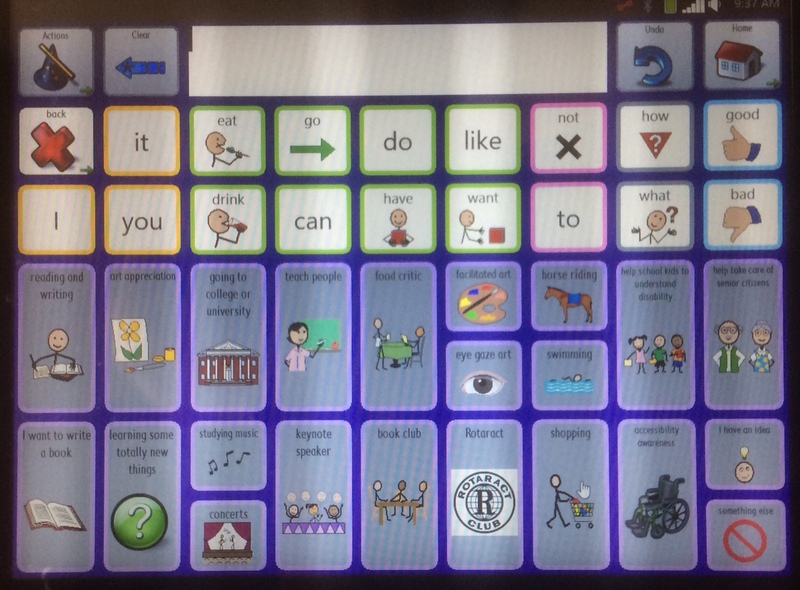 Some of her goals will provide motivation to keep working on her reading, writing and communication with the Tobii. She loves the idea of being a key note speaker or a guest on Ellen some day. When helping Abby to apply for a Youth in Action grant this week, we had to come up with a title for her, so we wrote "Independent Accessibility Advocate". Maybe I'll use that the next time someone asks what Abby does.